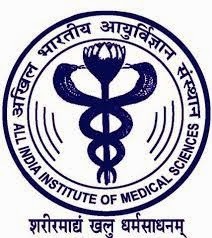 AIIMS Delhi Recruitment 2015: The All India Institute of Medical Science, New Delhi has been declared the notification for the 731 posts. The candidates who are waiting for the Nurse and Medical jobs in the AIIMS and they can apply for these vacancies. Eligible and interested candidates go check the official website to apply for this post from the date of April 25th, 2015.and the last date of online application registration on May 24th, 2015. It is the Group A, Group B and Group C recruitment 2015 to the candidates. Now candidates who are looking for the latest medical jobs, recruitment can use this opportunity to improve their career. We provide the details of the notification given here. Candidate's should be complete the B.Sc Nursing, Master's Degree, Degree in Pharmacy, B.Sc in recognized university. If you want to more details about the qualification and go to check the official notification given here. The candidate age limit must be minimum 18 years and maximum age limit 30 years.